Shooters who utilize indoor ranges for practice know clean-burning ammunition is an essential part of an enjoyable training experience. 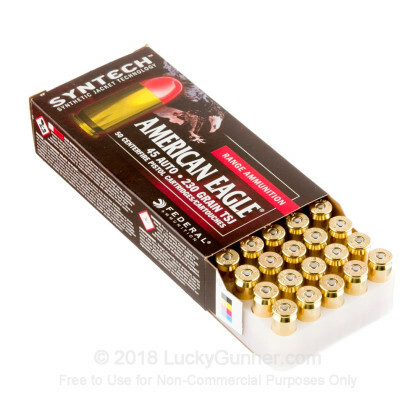 These 45 Auto cartridges are constructed using 230 grain total synthetic jacket (TSJ) projectiles, lead-free primers, and clean-burning powders. The carefully selected primers ignite the powder loads dependably every time so all you have to worry about is hitting your target. The TSJ keeps the core of the bullet contained and reduces scraping in the barrel that can generate metallic residue. 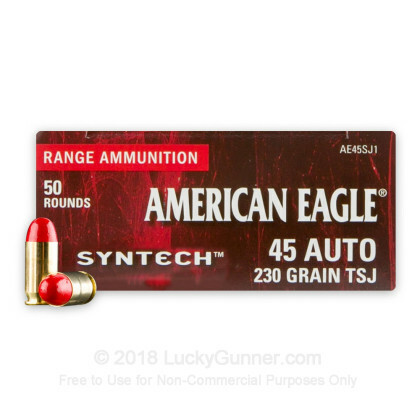 There are several key benefits of using 45 ACP Syntech ammo at an indoor range, including minimal fouling in your barrel, longer shooting periods in between cleanings, and moderate recoil. 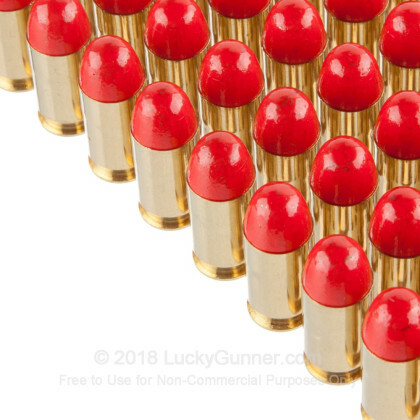 This ammo is the high-volume shooter's dream. 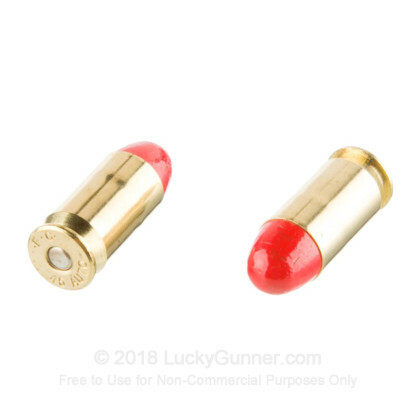 Federal uses their own new brass casings for these 45 ACP cartridges. Each casing is Boxer-primed, resistant to corrosion, and reloadable. 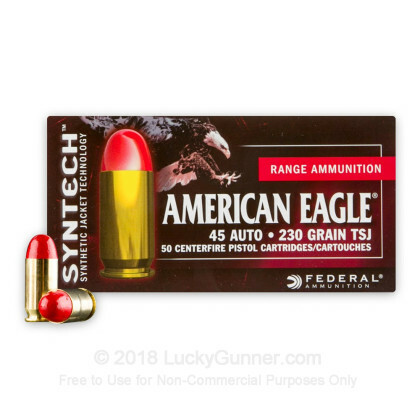 If you want a better indoor range experience, order 500 rounds of this Federal Syntech ammo today! 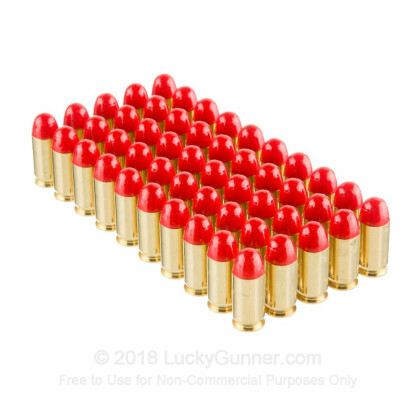 I love this ammo! It is extremely accurate in my S&W Model 625 .45 ACP revolver. Never a failure to go BANG! Shoots clean & cool. On target performance is very close to the Federal Hydra-Shoks I use for self defense, so they are an excellent training round.